Yes, the hosts featured on this page offer real web hosting packages at no cost. Be sure to read our in-depth reviews for the details and see what their customers say. With free web hosting, you can get your website online at zero cost. Sound too good to be true? What are the Advantages and Disadvantages of Free Web Hosting? Sometimes you do get what you pay for. Free hosting plans lack a lot of the features of paid hosting. You’re not going to get unlimited bandwidth or blazing fast load times with free hosting. You also may get limited customer service options, for example, there may be no live chat. Otherwise, you may want to look into a paid, cheap web hosting plan if you need more reliable hosting with better customer support. Shared hosting plans can be as low as $5 per month, or even lower. If the success and reliability of your website really matter to you, investing in a paid hosting account will be worth it if you can fit the expense in your budget. Or generally, if you depend on your website for the success of your business. If any of those sound like you, you may want to look at VPS or dedicated server hosting. Who's Best for Free Hosting? We think WordPress.com is a great choice for starting a free website or blog. (Billed as $4 Per Month) ⓘPrices in are approximate, based on current exchange rates. The host will likely charge you in USD, or at a different exchange rate. How Can Hosting be Free? A host can’t survive if all they offered was free hosting. Servers and support cost money. There are 2 major ways that the hosts on this page, and other free hosts, survive. The first is through selling other services. Just like certain video games, you can start for free, but if you want access to all the features and better performance, you’ll need to pay. Some free hosts are very pushy about this, and others just let you upgrade if you feel like you need to. WordPress.com, a popular provider of free hosted sites, offers users the option to upgrade to a paid plan. This will give you an ad-free site, and, depending on the plan you choose, give you additional features. The other option for hosts is to make money through advertising that they place on your site. You can’t control the ads in any way, other than to pay for them to stop. This scares away most customers, which is why this isn’t too popular of a model. How Do You Host a Site on a Free Host? A free host plan works similar to most paid host packages. You’ll create an account, and start by selecting a domain name. All free web hosts let you pick a custom free sub-domain name (e.g. “yourdomainname.freewebhostname.com”). You don’t typically want to use a subdomain for any type of professional website as it looks cheap and is hard to remember. Most hosts give you the option of purchasing a domain name, either through them or through a third party domain name registrar. In this example, I’m setting up a free hosted blog via WordPress.com. One of the first steps is to choose your free sub-domain name. Given there are millions of blogs on WordPress.com already, someone may have already chosen the free subdomain you want. If your choice is followed by lots of numbers (as in this case), you may want to choose a different sub-domain name. Or consider buying a domain outright. A script installer – A script installer lets you install software, including popular content management systems (CMSs) like WordPress. If you’re coming from a popular paid host, you’ve probably already used the Softaculous script installer. Softaculous gives you easy one-click installs of WordPress and hundreds of apps. Free hosts usually offer either Softaculous or Zacky. A site builder – Some free hosts include a free drag-and-drop site builder to use. These are nice for small websites if you don’t want to learn how a CMS works. You just click on text on the page and edit it like a typical text document. It’s typically pretty difficult to find a free web host service that supports obscure custom frameworks, although there are a few that support ASP.NET. One final main option often included in control panels is the option to create a free e-mail account. This lets you send and receive emails to a custom email address for your domain. Can I Get Free PHP Hosting? Most popular web applications (like WordPress and Drupal) are written in PHP. Most free hosting users will be particularly interested in how well free plans support popular PHP scripts. PHP powers popular CMSs such as WordPress, Drupal, and Joomla. It’s also used on major sites like Wikipedia and Facebook. Severely limited or non-existent automatic installation scripts. Now let’s look at additional considerations that apply to users who hope to run a PHP application on a free hosting account. To get a sense for the minimum server requirements for some popular PHP applications let’s take a look at three of the most common scripts: WordPress, Joomla, and Drupal. WordPress requires PHP version 5.2. and MySQL version 5.0. Joomla requires PHP version 5.3.10, and MySQL version 5.1. Drupal version 7.38 requires PHP version 5.2.5 and MySQL version 5.0.15. In every case, higher versions of PHP and MySQL are recommended by the software developers, but the applications will run as long as these minimum version requirements are met. MySQL databases are used in a number of popular content management systems (CMSs) like WordPress, Drupal, and Joomla. In terms of storage, a typical small website built with any of these applications will require between 50-100 MB of disk space before taking media files into account. Media files, and streaming media types such as podcasts and videos, in particular, can quickly increase this figure dramatically. Taking those minimum requirements into account, two issues are immediately apparent. Every free plan we looked at advertises PHP 5 and MySQL 5, however, none reveal the exact version running on the free account server. An installation of any one of these three applications will have problems, and potentially fail to function at all, if the version of PHP or MySQL isn’t sufficiently up-to-date. Site Load Times with Free PHP Hosting: Slow as a Sloth? With free hosting, you can expect the page load time for PHP applications to be poor. If you were planning on just hosting static HTML and CSS files, you’d probably be ok, but a PHP application imposes a much heavier load on server resources, and free hosting servers are notoriously resource-starved. You can test your website speed with Pingdom’s free tester. To show you an example, I ran the speed test on cnn.com. This screen grab shows some of the results. One host went so far as to admit that the number of accounts hosted on a free-account shared server was very large. Be aware: if your site pages take too long to load, visitors may become impatient and leave your site. 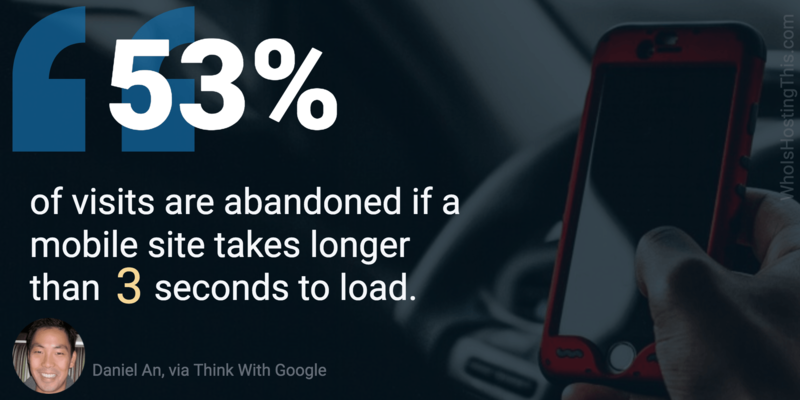 Page loading times are important; even more so for the mobile version of your site. While the disk space included in every plan was adequate for an installation of a typical PHP application, the database size allowed was very small. Every plan allowed only a single MySQL database with a maximum size between 10 and 20 MB. That will be enough for a very small blog and website, but websites with a considerable amount of content, as well as certain application themes and plugins, will quickly burn through the allowable database size. Content management systems like Drupal and WordPress store data from your website in a database. Can I Customize the php.ini File? Another limitation imposed by every free plan we looked at was the inability to customize settings in the php.ini file. Without the ability to customize PHP settings, runtime, maximum file upload size, and other PHP parameters will default to the server settings, and if those settings don’t work for your application, you’re just out of luck. Lastly, PHP offers a mail function that many websites use to send information from online contact forms to a designated email address. This PHP mail function is also used to send notification emails to visitors who opt to subscribe to website updates. However, since free hosting attracts a lot of unsavory activity, such as heavy spamming, it’s likely the free hosting server will be flagged as a spam originator by most Internet Service Providers (ISPs). Then ISPs will block delivery of these emails. This can cause your email sender reputation to suffer, making it harder and harder to achieve delivery (and get the opens and clicks you want). You want to avoid this headache. Some site owners experience months of aggravation (and significant costs) to undo the aftermath of being labeled a spammer. Most common PHP applications will probably install and run acceptably on free hosting accounts. Free hosts that include site builders give you a quick way of getting a countdown, announcement, event, or form site up quickly. Free hosts are a good match for temporary sites. You can use a free host with a site builder as a way to get your feet wet with DIY site creation. Some free hosts like WordPress.com, offer low-cost upgrades. Once your site starts to grow, it’ll be easy to expand your features. If the free account server is running an antiquated version of PHP or MySQL this will cause compatibility issues with the PHP script you have chosen. Your site may not function properly. Website visitors will have a suboptimal experience due to slow load times. Users of free hosting should keep images, streaming media, and animation use to a minimum, due to slow loading times. Free hosting customers should not plan on using the PHP mail function since it’s likely any mail originating from the server will be flagged as spam. So who are the the top dogs? Let’s take a look. WordPress.com is an excellent choice for those who want to get a WP site up and running quickly, but don’t want to search for or manage hosting. Note: WordPress.com is different from WordPress.org. The latter is the free CMS. WordPress.com however, is a hosted site builder platform, that makes creating and launching a WordPress site easy. It’s free to use, but also offers low-fee paid versions for those who don’t want any ads running on their sites. In the realm of free hosting, AwardSpace is one of the most well-known and popular. It comes with about as much as you can ask of a free host. Most importantly, it has a simple WordPress and Joomla installer, as well as a free drag-and-drop website builder. Unlike some free hosts, AwardSpace is ad-free and offers a solid amount of storage space and bandwidth (although some conditions apply). AgilityHoster also offers a good amount of disk space, as well as a simple control panel to manage your website. It includes the Zacky installer, which allows you to install a wide variety of open source applications, including the big CMSs like WordPress and Joomla. Best Cheap Hosting: Which Company Is Right For You In 2018? Start with a free hosting account, a free website builder, or a hosted blog on a free plan. Look at pricing carefully, because most free website builder plans are limited in some way. For example, you may have to pay to remove advertising, and the number of pages you can create might be limited. Most free hosting does not allow you to use your own domain. Most hosts that offer free hosting won’t charge for the basic hosting package. But they may limit the features and tools that you can use. There may be relatively small resource limits, and you probably won’t be able to create email addresses. Some free web hosts also serve ads on customer websites to pay for the cost of the hosting plan. In the majority of cases, you will need to upgrade your plan to access anything more than the absolute basics. When is it a good idea to use free hosting? Free hosting keeps costs at a minimum while also getting your blog or business online. It’s ideal for very small micro-businesses, personal blogs, and community websites. If you just want to trial a project, you can get started on free hosting and upgrade when your idea takes off. Free hosting is inevitably going to be very basic. The resource limits are going to be tight, and you probably won’t be able to create anything more than a very basic website. You may experience throttled bandwidth, limited support, and extended downtime. And your host may also place advertising on your site, which can detract from your design. Before you decide to go the free hosting route, make sure you review all of the terms and conditions. It may be better to pay for a cheap shared hosting account, rather than making too many compromises. Will I get an uptime guarantee? Free hosting rarely comes with a meaningful uptime guarantee, and support response can be slow. If your site is down, you probably won’t be able to do much about it. Is there a company offering free Windows hosting? Windows costs more money to host than Linux, because the hosting company has to pay for the cost of software licenses. Free Windows hosting is therefore extremely rare. How does the host place ads on my site? Your host will probably overlay advertising on your site using a script. So you won’t be able to edit your files to remove the ads yourself. Can I host a blog on a free shared hosting plan? Yes you can. In fact, the majority of free hosting services are setup to host blogs that are powered by the wide variety of open source blogging platforms like WordPress, b2evolution, Serendipity, and more. If the server your free hosting platform is built upon is open source, hosting an open source blogging software should not be a problem. Consult with your free hosting provider to make sure your blogging platform of choice is compatible with their server. Can I start an e-commerce store on a free hosting plan? It’s not a good idea. Your customers will expect you to have an SSL certificate to keep their details secure, and you won’t be able to purchase one on a free plan. You will also need to hold personal data securely, and free hosting rarely includes the ability to set up databases. There are a lot of risks involved in e-commerce sites if they are not set up correctly, so it’s best to pay for a proper hosting plan. Do I have to know how to code to use free hosting? Because free hosting is designed for beginners with smaller websites and standard requirements, you should not need to know how to code. But if you have no programming experience, a site builder is probably going to be easier to manage, compared to a normal web hosting account. What scripting languages are typically supported? You’ll be able to use HTML and CSS. Some hosts also allow PHP scripts to run. Support for specialist languages is rare. Do free hosts offer MySQL support? Many do, but check the fine print. A typical WordPress database can take up hundreds of megabytes of space, particularly if you need to run a few plugins. If your host limits the size of your database, your WordPress site will stop working. Hosts need to place a minimum number of customers on a server to break even. If they aren’t being paid for this service, they might need to split the server resources more thinly to make a profit, which means that the hosting service is slower for everyone. This isn’t a rule, and you might find that speed is acceptable. But the best speeds are undoubtedly achieved on paid hosting accounts. What features will I miss out on? Free hosting rarely includes email mailboxes, or the ability to use your own domain name. You might not get access to some of the useful extras that come with shared hosting, like script installers and site builders. 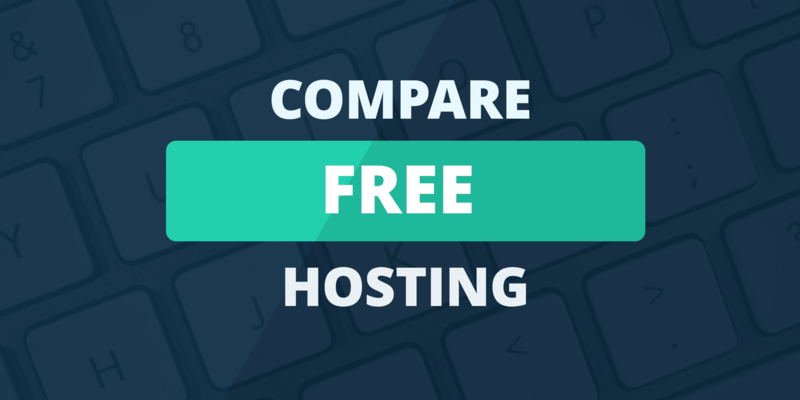 Find a cheap shared hosting provider, and pull up the features to compare them. Are there any free alternatives? Yes. You could use a basic website builder package, or sign up for a free hosted blog. While these are basic solutions, they work well for personal projects. If you run a business, free services rarely provide the necessary features or stability, and you’d be best off spending a few dollars a month on a shared hosting account. You could also set up a store on a site like Shopify. Can I get free WordPress hosting? If you just want to set up a blog, WordPress.com is the ideal solution. It’s free, and fairly restrictive in terms of features, but it works well for this purpose. We think Awardspace is a great choice for free web hosting.